Clash of Clans developer Supercell’s revenue fell for the second year in a row after the studio reported $1.6 billion in revenue for 2018. That’s a drop from roughly $2 billion in 2017 and from $2.3 billion in 2016. Profit before taxes meanwhile fell to $635 million, down from around $810m the year prior. The company paid out $122 million in taxes to its homeland of Finland in 2018. 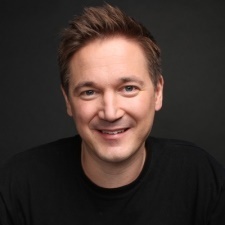 Supercell CEO Ilkka Paananen said in a blog post that while it would be great if the company could always grow year-on-year, “focusing on short-term financial metrics has never been the most important thing for me or for us as a company”. Paananen added that its first four releases - Hay Day, Clash of Clans, Boom Beach and Clash Royale - have all generated sales of $1 billion. The Clash franchise meanwhile has generated $10 billion in lifetime revenue to date. In mid-December, the company launched its fifth mobile game Brawl Stars. That title is said to have got off to a strong start, and according to mobile data firm Sensor Tower has accrued $100 million in revenue within two months. The game launched too late to have a significant impact on Supercell’s annual sales, but marked the studio’s first full global release since Clash Royale in early 2016. “Our concern is that if you start to be driven by short-term financials, you may be tempted to release average quality games too early or be overly focused on monetisation,” said Paananen. “Instead, our approach is to focus on building great teams and creating a culture where these teams can focus on building great games. With a bit of luck, we hope that over the course of decades this approach will result in great games that players all over the world love and become part of the rich history of games. Moving forward, Paananen suggested some changes to the way Supercell operates. While it'll still utilise small teams for game development, it has partnered with some external studios to support the creation of more content. Supercell has also invested in new tools and tech for more efficient content creation, and has "slightly grown" the size of the live teams on its titles. "What all of this means for a game like Brawl Stars, for example, is more brawlers, more skins and more environments being added more frequently," said Paananen.